Have you lost the password to access your router settings? Well, in this case, a simple process will help you reset your router password. 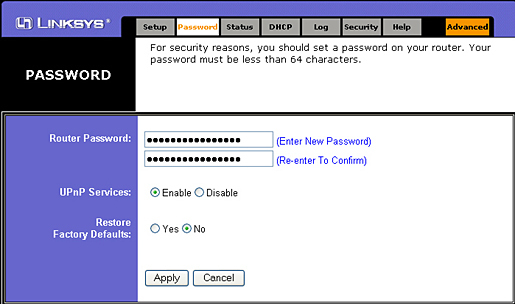 Let us learn how to reset router password on your router from the following instructions. It is very important to reset the default password on your router. This is because using the default password may become a handy tool for hackers to hack into your router. All they need to do is just Google the default router password and hack into your router account. At times, you may change the default router password and forget the new password later on. In order to change and/or reset router password, please follow the general instructions given below that will be useful for any router model you own. The reset will cause your router username and password to revert to default. All configuration settings you have made on your router. This means resetting router password is a serious business and thus, carry out the following instructions only if you are sure of what you are doing. To reset the router password, you need to press the tiny button located at the back of the router. Use a pin or any pointed object to press the reset button for about 10 seconds. You will find all the lights on your router will flash simultaneously. Wait for a few seconds and let go of the router reset button. That’s it. Your router has changed back to the default factory settings and is as good as new. After the reset, you need to open the browser on your computer. Type the IP address of your router administration page. The IP address will be printed on your router or in the instruction manual that comes with your router. If not, you can Google and search for the default IP address for your router. Once the admin page opens you will be asked to login with your username and password. The default username is usually admin/administrator. The password is usually password/admin. In some cases, you may have to leave the password field blank. 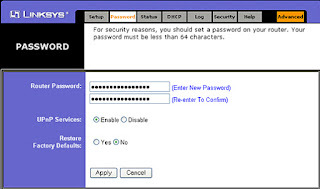 The default username and password is given in the instruction manual or printed on the router. You can even Google the model name and number of your router and find out the default login credentials. After you login, you need to visit the Administration page and change the router password. Make sure you also change the Wi-Fi name, password as well as add port forwarding and set up firewalls as it was before the reset. You can make changes accordingly, but make sure you change all the default for better security. This is all about how to reset router password on your router. Just follow these general instructions and you can make changes to your router according to your preferences.